Meet: 9:00AM at the Liberty State Park Picnic Grounds. Look for the HRWC banner. Walk starts 9:30AM. Driving Directions: Take the NJ Turnpike Extension (I-78) Exit 14 B. Follow signs to Liberty State Park. Go straight to a traffic circle. Go through the traffic circle and continue to the end. There is a barrier in the road at this point. Turn right into the parking lot and meet at the group at the far end of the parking lot near the picnic grounds. 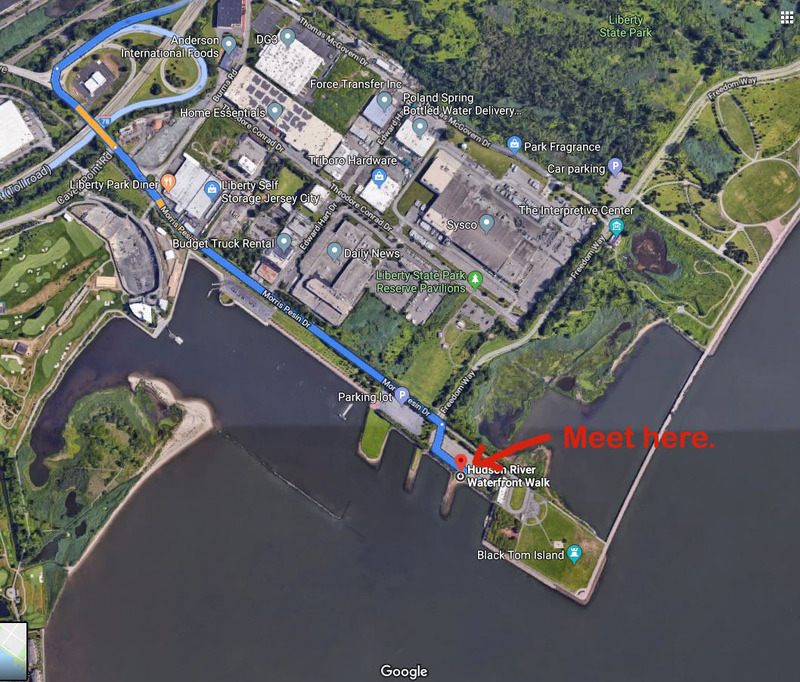 Walk Description – Begin the Walk in Liberty State Park at the picnic grounds. Walk past the Liberty State Park kayak and boat launches, the newest section of the Walkway in Liberty State Park and enter the Liberty National Golf Club. The views of lower Manhattan are magnificent. Liberty National hosts PGA golf tour events and is an excellent example of a private developer cooperating to build a first class section of Walkway that is totally integrated with the private interests of the developer. Future plans call for the golf club to construct condominiums adjacent to the golf course. Leave the golf club and enter another part of Liberty State Park that is a bird sanctuary and wildlife preserve. Part of the year the wildlife preserve is open to hikers. The Walkway then leads into the Port Liberte Condominiums built on canals and a gorgeous view of Lower New York Harbor.